Elk and Goats and Bears, Oh My!! Well I know that all I have practically written the last few times that I have posted is about the animals that we have seen, but I am going to do it again. We saw tons of them today and all kinds too. After packing up our stuff and checking out of the hotel we got on the road from Banff to Jasper (first using the number one, which as far as I know takes you right across Canada and then taking 93 through the mountains). From the moment we were on the road we were lucky with our sightings, two deer running across an open field- man are they fast. Although the deer are cool, we also saw 5 more up the road. We quickly came upon a huge male Elk just eating his way down the highway. There were tons of people stopped to see him as he had his mid-morning snack, maybe some dandelions and grass, but he couldn’t have cared less if we watched him. I guess when you have a huge rack, the same rules don’t always apply. I couldn’t resist adding this one, it’s too funny. 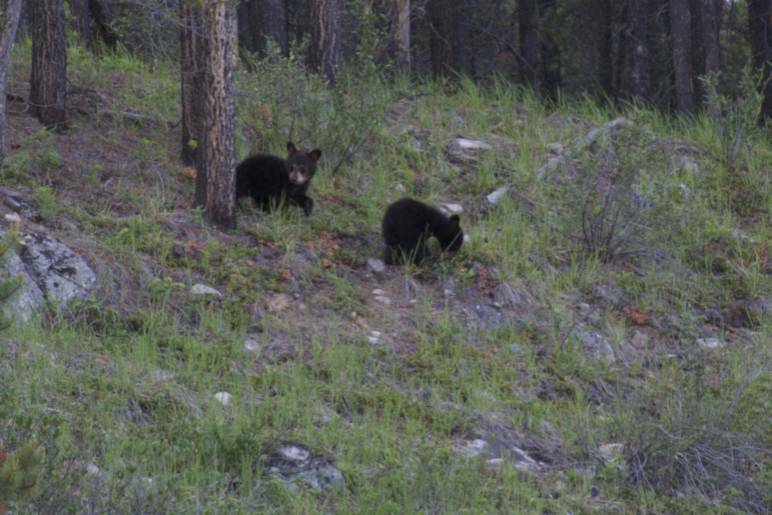 After the Elk, we began our very exciting Bear sightings, yes “sightings” plural. 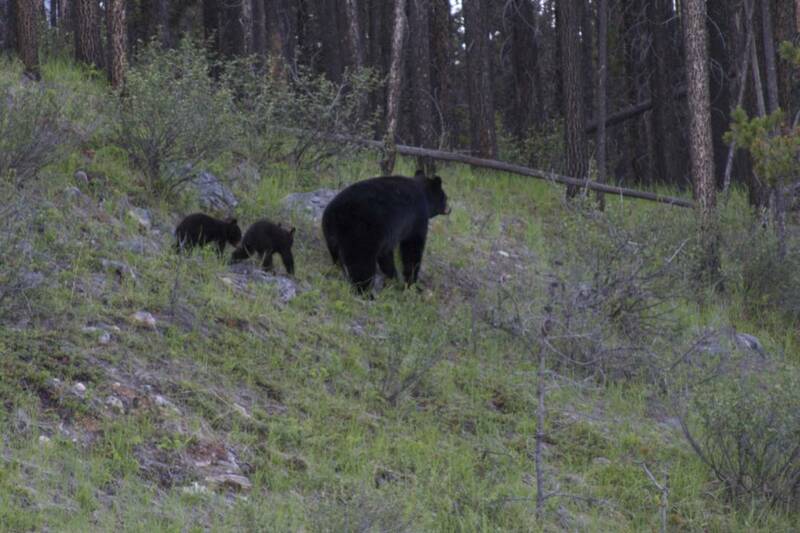 Jamie and I saw a total of 6 Black Bears today, 3 young bears on their own and then lastly a mother and her two cubs. We were anywhere from 15 yards to 40 yards away from them each time and safely behind car doors. We are curious but not stupid. It is so amazing to just be driving down the road and look over to see a bear having some lunch, by the way they are always eating when you see them. It makes me wonder just how many things are roaming around in the beautiful mountains that we miss all the time. 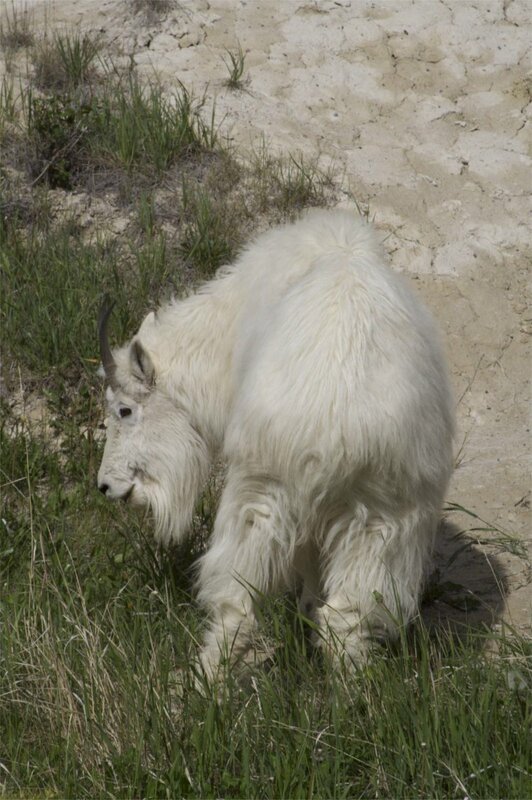 Between bear sightings we were able to add another type of animal to our ever growing list, the Mountain Goat. We saw a bunch of goats licking the mineral deposits off of the side of the road when we got closer to Jasper. As a matter of fact we passed a “Warning Goats Ahead” sign (it didn’t actually say that but I am unable to precisely describe the sign without boring at least a few of you) and we saw the first group maybe 30 seconds later, I kid you not. 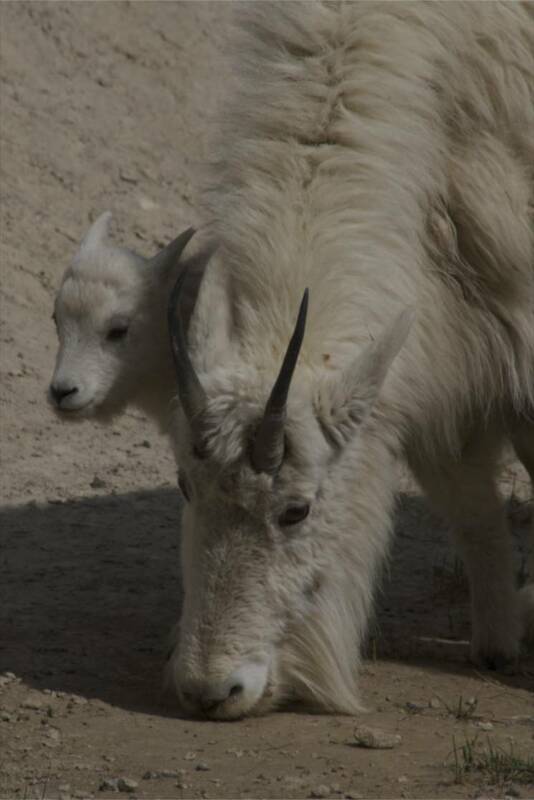 The best part about seeing the goats was the seeing the little one, man was he cute, all tiny and huddled next to his mama. It is great to see the animals in the spring, they all seem to have a baby in tow, and man are the little ones my favorite! 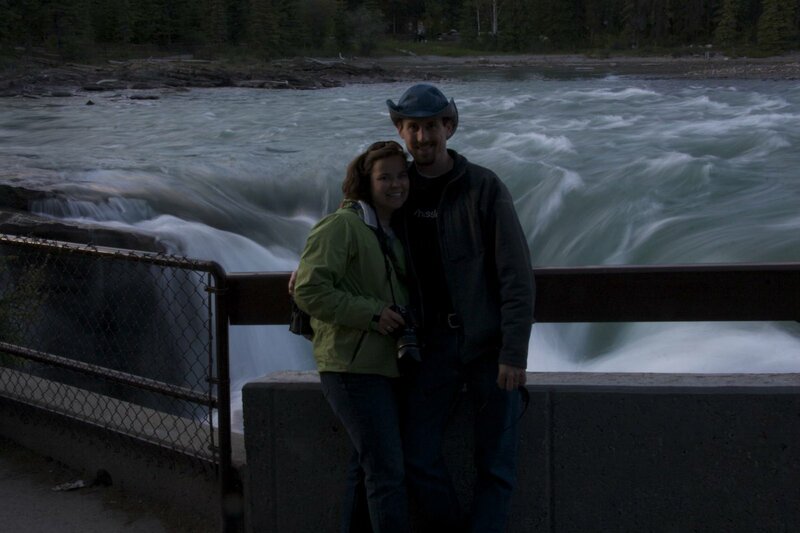 All in all, it was a very eventful day; animal wise we saw a ton, we got settled in Jasper, saw an amazing turquoise lake (Lake Peyto) and photographed the Athabasca Falls. 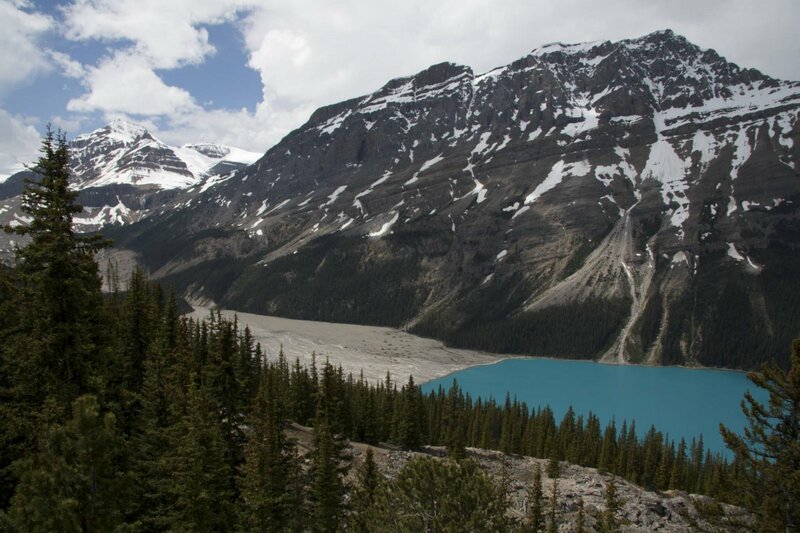 We will be hiking tomorrow and probably visiting a few of the nearby lakes, I will be sure to keep you all posted on the animal front, we are on the lookout for Beaver, Moose, Cougars, or whatever will pass our way. Pretty view from the side of the road. Fun! I didn’t know you would be blogging from O Canada. I’m jealous….you are wearing a fleece in that pic and I am sweating in Florida.